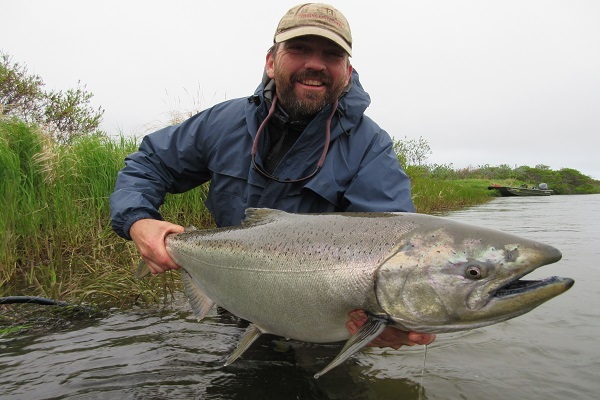 The Alaska Sapsuk and Steelhead River Camps are located 500 miles southwest of Anchorage on the Alaska Peninsula where waters are home to the largest Salmon runs on the Aleutian Island Chain. 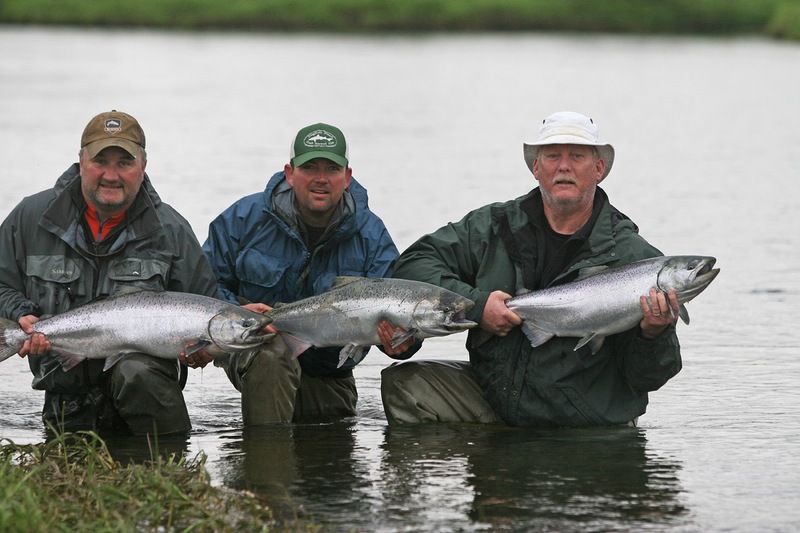 Aleutian Rivers Angling operate remote fly fishing camps with fully guided trips that target Kings, Silvers, Sockeye, Rainbow Trout and Steelhead. 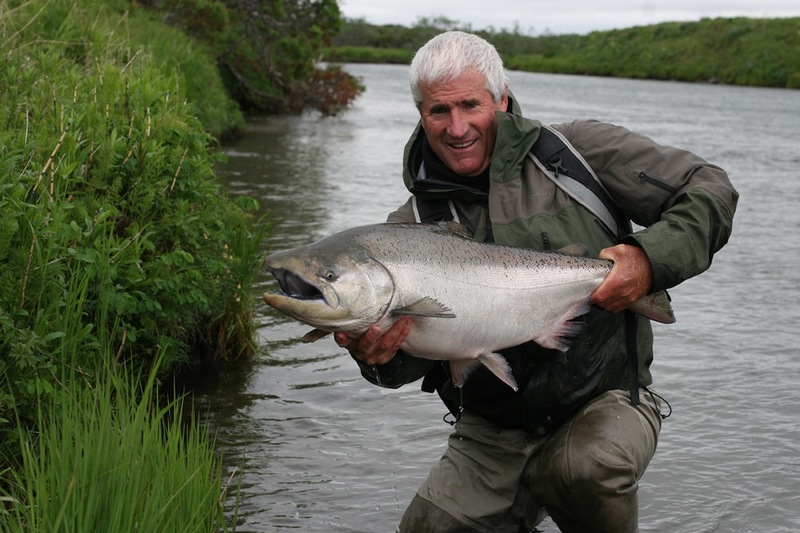 Aleutian Rivers Angling currently focuses on two main rivers: The Steelhead River and The Sapuk River. 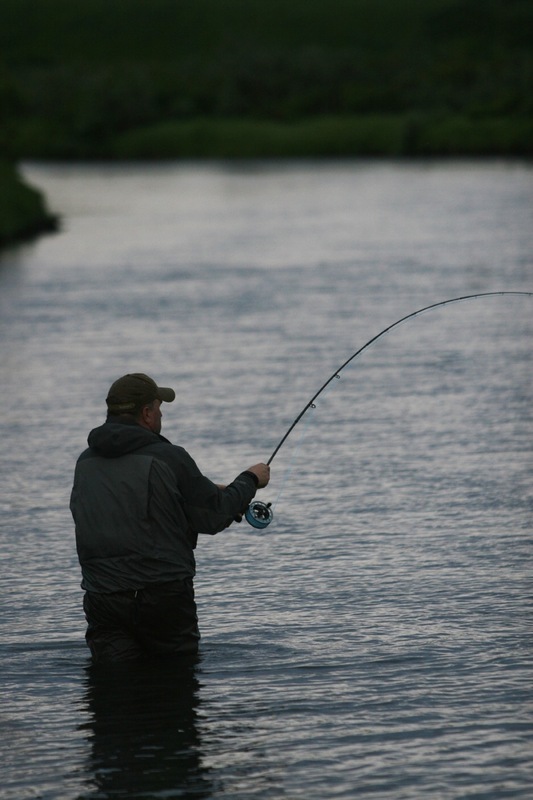 Both rivers offer a variety of fishing possibilities and depending on the time of the year, the rivers will be packed with King, Silver, Red Salmon, Steelhead, or Rainbow Trout. 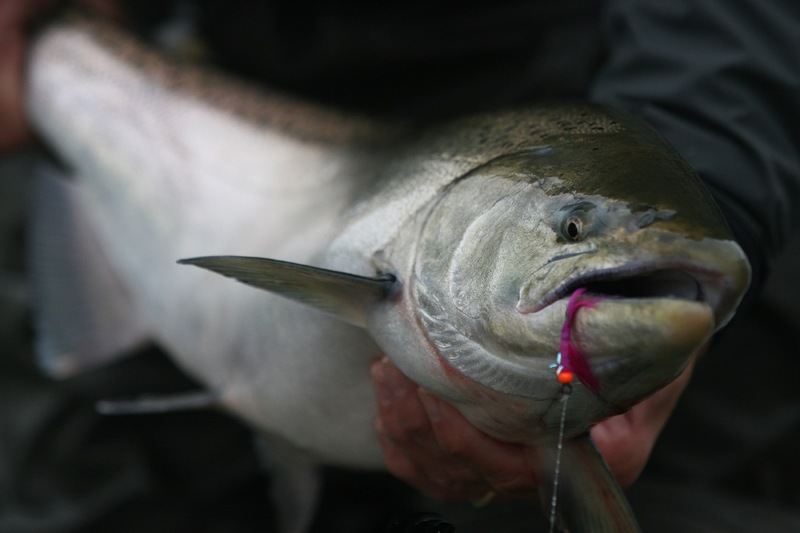 From mid-June until mid-July, the Sapsuk River is home to an array of King Salmon. These chrome fish are up to 40 pounds that take a fly, test your tackle, and keep you coming for more. 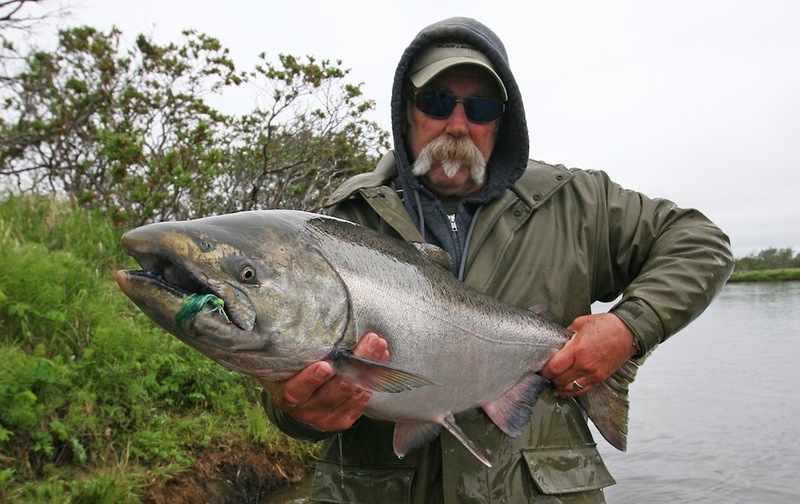 Exclusive access to multiple destinations and the fact that Aleutian Rivers Angling only fish six people ensures that there is plenty of un-pressured fish eager to take the fly. The river is easily wadable and provies the opportunity to fish with either single handed, or two handed rods. Many people travel to Alaska looking for the 'Salmon Grand Slam'. The Sapuk River is one of the very few places where this can happen. From July - August, all five species of Pacific Salmon can be caught on the fly. From early August to mid-October, The Sapsuk River is home to one of Alaska's healthiest runs of Silver Salmon. Their guests average around 10-25 Silver Salmon per day with the average Silvers being 8-10 pounds, topping out at 15-18 pounds. 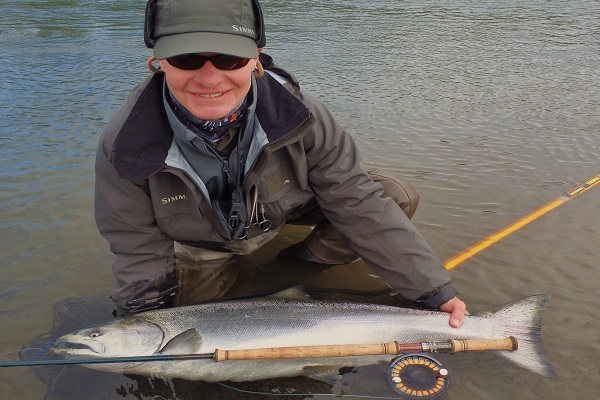 From late September to mid-October, Aleutian Rivers Angling's Steelhead fishing is still exploratory at their Steelhead Camp. A fisherman can expect to catch 1-2 Steelheads. These hard fighting fish are averaging 30 inches and will rip line off your reel every time. 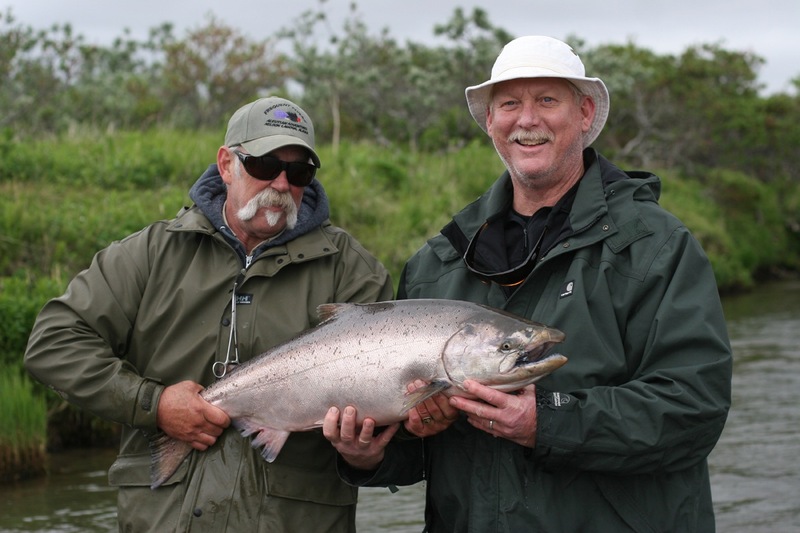 Due to the nature and style of this fishing, Aleutian Rivers Angling only accepts 2-3 anglers per week. 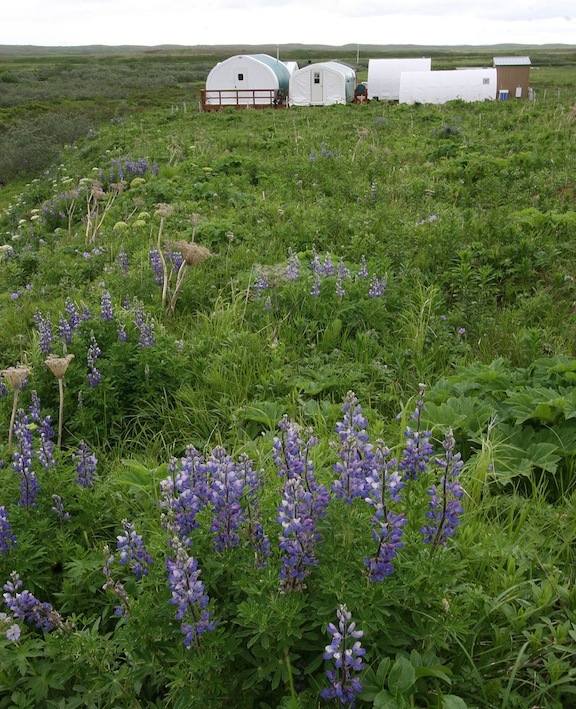 The goal of Aleutian Rivers Angling is to create a no frills, but great sport fishing camp on the Alaskan Peninsula. Their two intimate camps, Sapsuk and Steelhead, has dependable equipment, comfortable and clean accomodations, good food, and knowledgeable, safe guides. 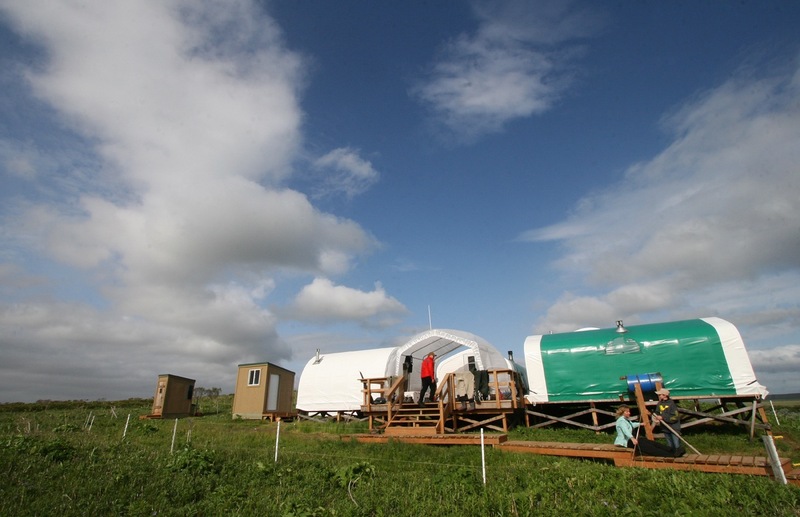 Currently, both camps feature weatherport tents that sit on raised wooden platforms. These tents feature solar panel lights, hot showers, padded sleeping cots, and includes a fly-tying table. Guests sleep in sleeping bags with a liner and they can expect basic accommodations in a clean and comfortable location. Meals are served buffet and family style and guests will enjoy breakfast, lunch, and dinner prepared by local cooks. Additionally, snacks and beverages are available throughout the day. You are Reviewing as a guest. Optional login below.